In one corner: Propane Gas. In the other: Electric Heat. 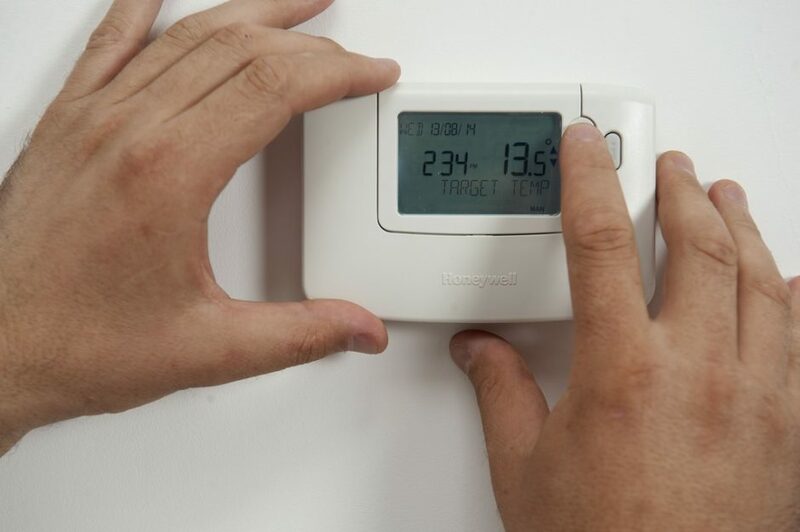 As you winterize your home, it’s likely you’re exploring the best–and most affordable–ways to heat your home. Maybe high energy bills the last few seasons have you realizing that there just may be other sources you can explore. You will, of course, hear a lot of opinions and read a lot of information about oil, propane and electric. Here, we’ll compare residential propane and electric heat and see which one might be best for you to choose to keep your home warm and cozy throughout the season. Perhaps the biggest no-brainer, when you consider propane as a source of heat for your home, is that propane burns much more efficiently than electric heat sources. Thus, you’ll need less and spend less money to get your home to the temperature at which you’re most comfortable. Propane prices fluctuate due to demand, just as oil prices do; however, propane prices are not impacted by international factors since nearly all the propane used by consumers is manufactured in the United States. Propane and propane inserts will still power your heat source and any other appliance you’re powering with this gas; electric heating and other appliances are rendered useless in a power outage. So there’s that to consider, especially if you live in rural areas that might experience more power outages than other regions. The nice thing about propane: you can use above or underground storage tanks to hold your propane for when you need it most, so you can order it, say, during the summer months when demand and prices are low, and have it ready to go when the cold kicks in. And propane isn’t just beneficial when it comes to your heat source. Consider a propane water heater compared to an electric one; the former will recover much more quickly than an electric water heater. A propane water heater might cost a bit more initially, but you’ll make up for it in the long run with more efficiency and recovery. Electric Heat: Can It Beat Propane? This is not as easy a question to answer as you might think, simply because electric rates differ widely from one area to another. You would need to calculate what you pay in your area per kilowatt-hour compared to what propane would cost you based on BTUs per gallon. In many areas, propane has consistently shown to be the cheaper alternative. If that’s the case where you live, then propane would be the better choice. Basically, electric heat is not as efficient as propane; it simply takes longer to heat a home using electric, so that alone will drive costs up and makes propane a viable alternative in most cases. Consider that propane is a clean, “green” energy source, and has virtually no impact on the environment, and you’ll see that in any head-to-head competition, propane simply can’t be beaten by electricity when it comes to heating or other appliances. Convinced that life with propane is just better? If so, and you live in North Carolina or in the Mount Joy area of Pennsylvania, then you can contact Diversified Energy, a leading East Coast propane supplier with numerous service center locations. Diversified Energy has nine service center locations you can visit or call to discuss your needs and get any questions you might have about propane uses, storage or appliances. We also offer convenient home delivery options. Diversified Energy is your full-service propane company, from automatic delivery service to gas line and storage tank installations. They also carry various products from top-name manufacturers, such as stoves, fireplaces and tankless water heaters. Put propane–and Diversified Energy–in your corner this winter.